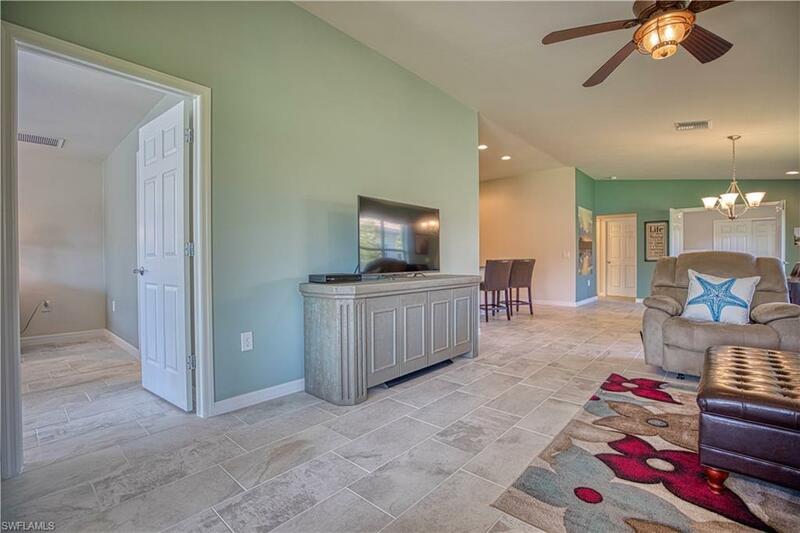 Like new and meticulously maintained Villa Home. NEW PLANK TILE FLOORING throughout. 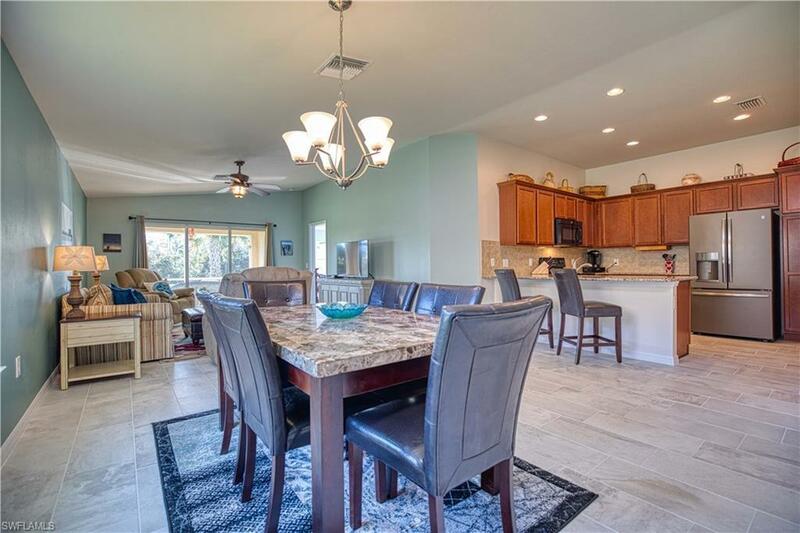 This open and spacious home has a covered screen lanai which overlooks a quiet and peaceful serene larger lot, perfect to watch the sunrise skies with your cup of coffee. Lots of yard space for a pool/spa. Newer, "higher end" Refrigerator, Washer and Dryer. 3 Bed/ 2 Bath. 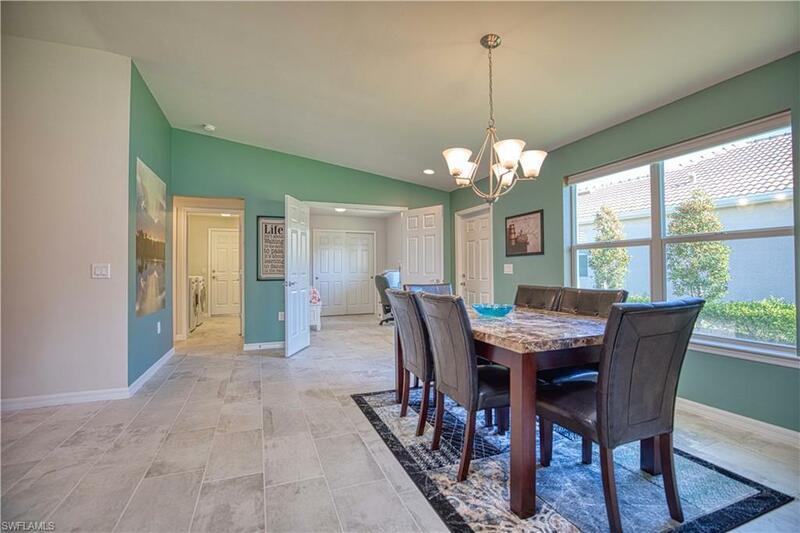 NEW A/C 2019.Verona Walk is an Lifestyle Community - offers a Restaurant with Bar, Resort Style Pool, Temperature-controlled Lap pool, 24 hour Fitness Center, 8 Har-Tru Tennis Courts, Basketball, Bocce Ball, Pickle Ball, Lighted Basketball Court, Tot Lot Playground and a Full Time Activity Director. Lots of organized and informal activities year-round. 24 Hour Manned gatehouse entry. Verona Walk also has a gas station, car wash, post office and small service stores within the community. Miles of waterways and Venetian-style bridges surrounded by lush landscaping to enjoy while walking throughout the community. The Town Center holds game rooms, grand ballroom, with two computer stations. 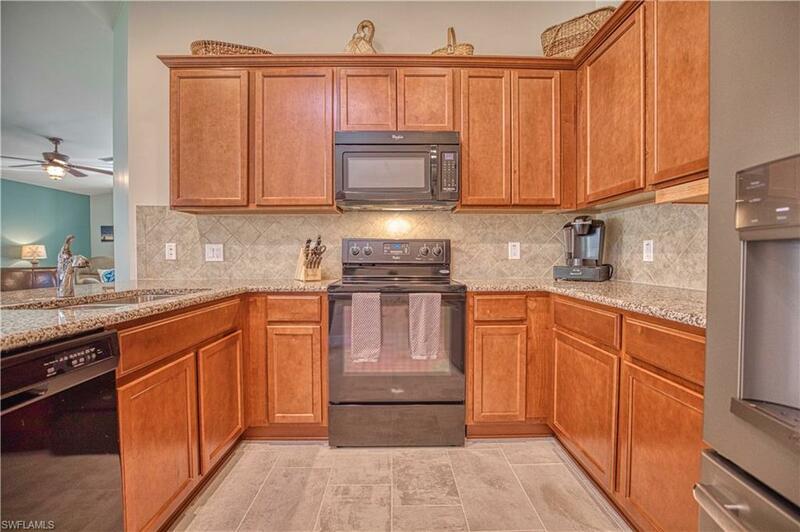 All these amenities are included in your LOW HOA fee. Easy access I-75 to airports. Short drive to Beaches, 5th Ave., Shopping and Restaurants.